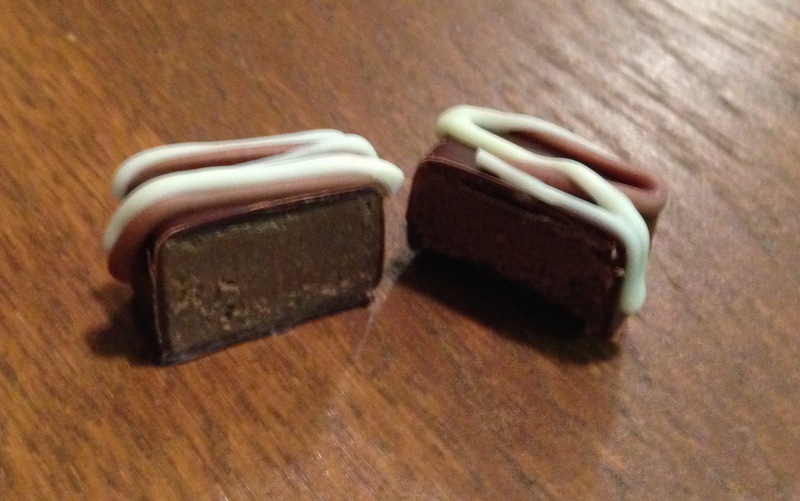 Now that temperatures are starting to drop in my area, I can finally start to get chocolate from local shops and bring them home without worrying about them melting!!! I’m super excited because that means that during the colder months I can post more about the local chocolate shops in my area 🙂 For my blog I like to get the chocolate, take pictures, eat it and then post about it as soon as I can while my thoughts about it are fresh on my mind. 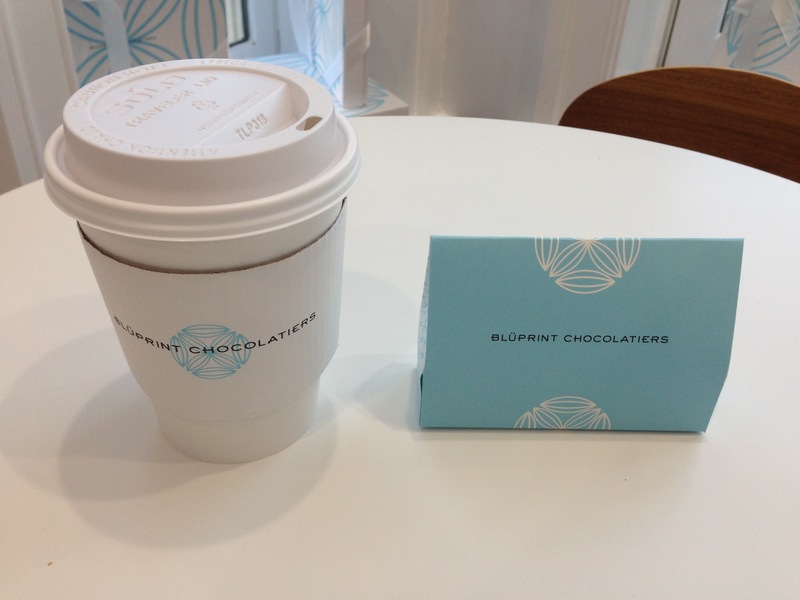 Regarding local chocolate shops, I’m starting with Blüprint Chocolatier in Old Town Alexandria. They opened I think this past spring. My first time stopping by there was earlier in the summer, but it was way too hot then to carry around a little box of their chocolates. 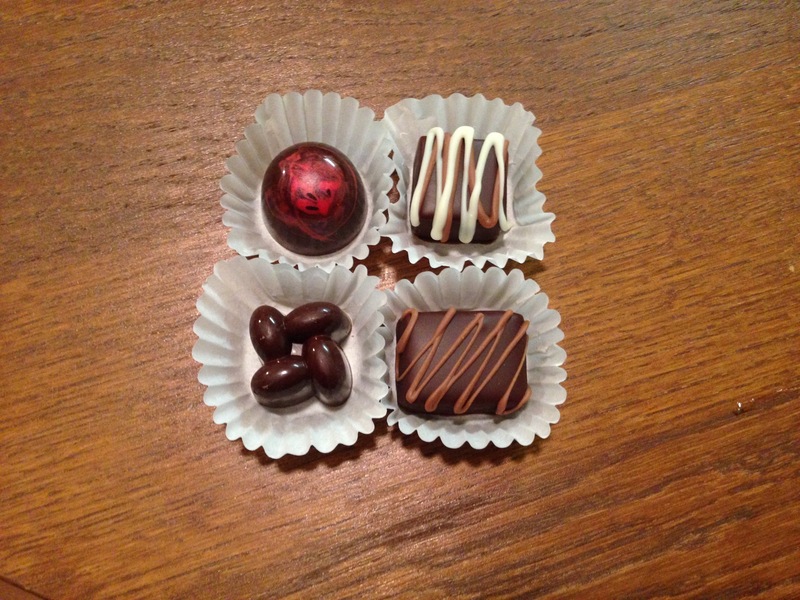 Blüprint makes their chocolates in the same building where they are sold. This is the overall picture of what chocolates I brought home. Chai with milk chocolate. I really like the slight spiciness of chai with chocolate. 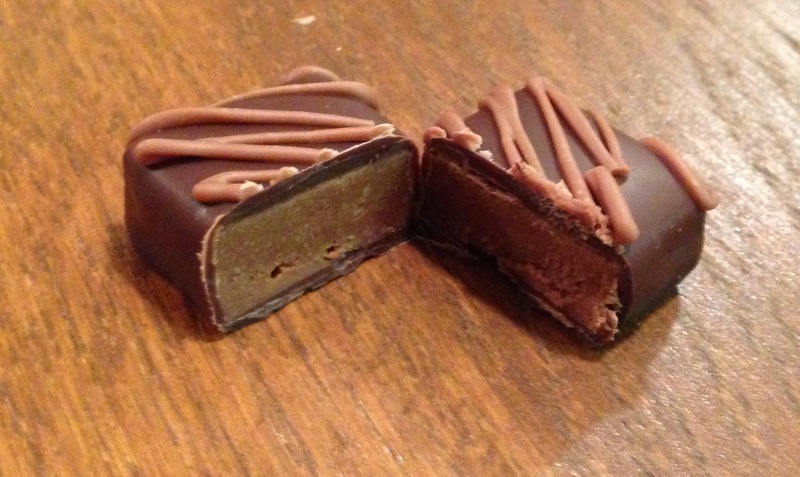 Whiskey with milk chocolate. Normally I’m not a fan of chocolate with alcoholic flavorings since I usually find them to be too strong for my taste, but this was well balanced in my opinion. I think there was a good ratio of ganache and whiskey flavoring so the whiskey wasn’t too overpowering. 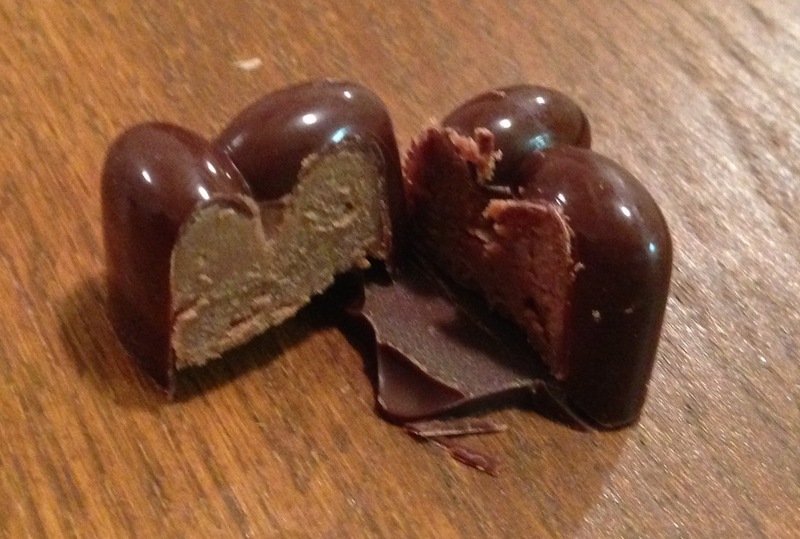 Passion fruit with dark chocolate. I’m always up for trying chocolate + fruit combos! I wanted to see if Blüprint had their own pumpkin spice or pumpkin flavored chocolate, but they didn’t have any. 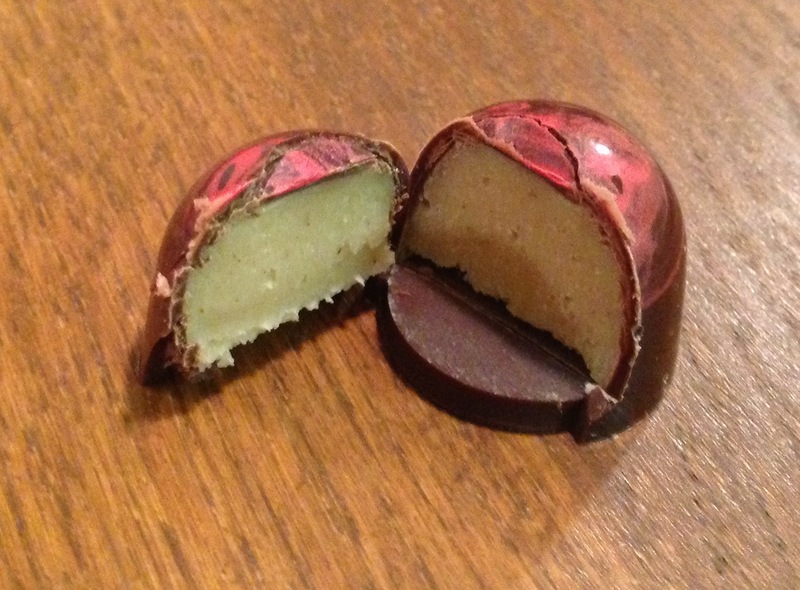 Instead they had an apple flavored chocolate! I can’t remember what else was in this 😛 I personally haven’t seen any chocolate + apple combinations, so I hope to be able to find more in the future!